Intumescent coatings for structural steel are the accurate way to protect buildings as it is tested by both: laboratories and national & international standards in independent testing houses all over the world. Fires, that can reach temperatures of 1,100 degrees Celsius and can cause structural steelwork to lose load bearing strength and eventually buckle and collapse. Therefore, fire protection is a necessity for steel construction in the oil, gas and chemical industry where combustion of hydrocarbon fuels such as oil, methane, liquefied natural gas (LNG) and liquefied petroleum gas (LPG) can spell disaster. Goldstein Research analyst forecast the Intumescent Coatings Market size is set to reach USD 1.16 billion by 2024, at a CAGR of 5.76% over the forecast years. Coil Coating properties like stain resistance, corrosion resistance and flexibility compared to conventional coatings is expected to drive the global market growth over the forecast period. The oil and gas industry was the dominant end-use segment and accounted for over 50% of the global intumescent market share in 2016; it is further anticipated to gain at 5% from 2017 to 2024. Construction is the fastest growing end user industry with a CAGR of 5.1% from 2017 to 2024 owing to increased infrastructure based projects in China and India followed by automotive segment due to the demand of thermal barrier and protection from high engine temperature in vehicles for safer vehicle. Based on geography, APAC held the largest coil coating market share i.e. 40% in 2016 due to high economic growth rate followed by heavy investment across end user industries such as building and construction, appliance, automotive, and others. Japan, China and India along with Thailand, Malaysia, Indonesia and Philippines, has presented sound opportunities for intumescent coatings due to governmental regulations and proposals for improvement of infrastructure, rising automotive demand in Japan and the rising housing market. Bulgaria, Czech Republic, Russia, Belarus, Mexico and Romania are witnessing high construction growth. Construction recovery, growing automotive and pharmaceutical industries in the U.S. is anticipated to further fuel the North American coal coatings market growth. While Europe coil coating market tends to grow at the fastest CAGR of 6.23% over the forecast period attributed to important developments, expansions, agreements, and mergers & acquisitions of the leading global companies. According to the report, major driving factor for intumescent coatings market is the introduction of passive fire protection for structural steel successfully used in offshore oil and gas platform applications and onshore refining and petrochemical processing facilities. Extra time provided by the coatings is because of its intumescing up to several times to their original thickness, thus extending the time it takes for steel to reach its critical failure temperature of 1000 degrees Fahrenheit, allows a facility's occupants more time to escape while enhancing the ability of firefighters to bring a fire under control, and save the asset from structural failure. The report covers the present ground scenario and the future growth prospects of the Intumescent Coatings Market for 2016-2024 along with data related to the usage of Intumescent Coatings in different verticals. We calculated the market size and revenue share on the basis of revenue generated from major players across the globe. Intumescent Coatings Market Report 2016-2024, has been prepared based on in-depth market analysis from industry experts. The report covers the competitive landscape and current position of major players in the global intumescent coatings market. The report also includes Porter’s five force model, SWOT analysis, company profiling, business strategies of market players and their business models. Global Intumescent Coatings Market report also recognizes value chain analysis to understand the cost differentiation to provide competitive advantage to the existing and new entry players. 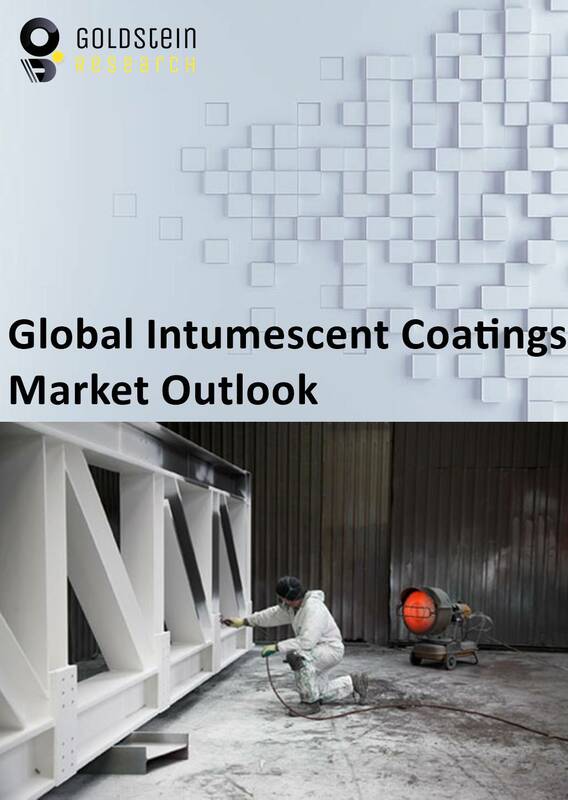 This global intumescent coatings market report comprises of the following companies as the key players: AkzoNobel, Jotun Group, Contego International Inc., Hempel Marine Paints, No-Burn Inc., Null Fire, Sherwin-Williams, Carboline, Albi Manufacturing, Leighs Paints, Isolatek International, Flame Control Coatings, LLC, Rudolf Hensel GmbH, Firetherm, Bollom Fire Protection, Crown Paints Limited, PPG Industries, 3M. What is the revenue of Intumescent Coatings in 2015-16 and what would be the expected demand over the forecast period? What are some of the most promising, high-growth opportunities for the Intumescent Coatings market by end use industry type (Building & construction, Automotive, Appliance, and others), resin type(Polyester, Fluoropolymer, Siliconized Polyester, Plastisol, and others) application type(Steel and Aluminum) and region(North America, Europe, Asia Pacific, and Rest of the World)?